Because why would a child embellish his near-death experience with details of stories he heard in Sunday school just because he gets a lot of positive attention for it, and why would the adults in said child’s life encourage him to keep embellishing that story just because they also get a lot of positive attention for it, Deadline reports that NBC is currently developing a drama series based on the book/faith-based blockbuster Heaven Is For Real. 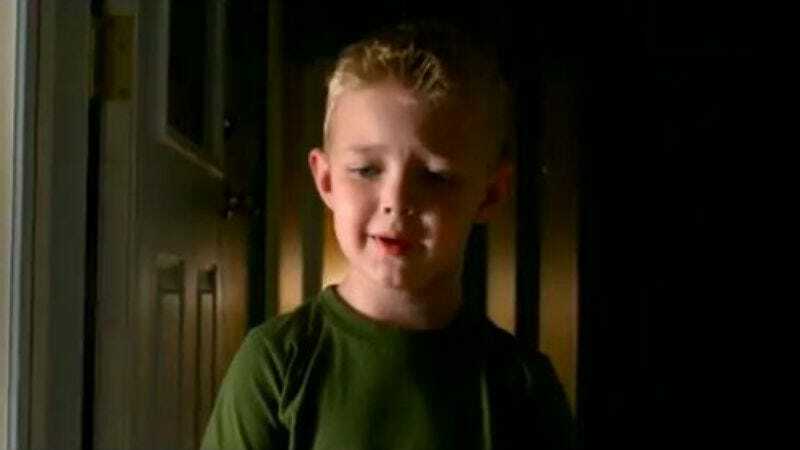 Specifically, the series will be based on Heaven Changes Everything, a sequel to Heaven Is For Real written by Todd and Sonya Burpo, parents of Colton Burpo, the adorable, reassuringly Caucasian little moppet who nearly died on the operating table when he was four years old and told his parents about the experience afterwards. Young Colton’s tale about his new friend Jesus became the subject of a New York Times bestselling book, followed by a hokey film starring Greg Kinnear as Colton’s evangelical pastor dad. Heaven Changes Everything picks up after the success of Heaven Is For Real and “revolves around a small-town pastor who must find the courage and faith to lead his parishioners” after his son’s dramatic near-death tale becomes a worldwide sensation. (We’re sure he handles it beautifully.) No casting announcements or air dates have been announced for the series, although Colton Burpo could probably spin you a pretty compelling account of the whole process. He’s got a gift for gab, that one.